Retail Assist’s PIM — product information management— platform, OMIO PIM, enables fashion retailers to simultaneously optimize products across all digital channels via a single software-as-a-service platform. 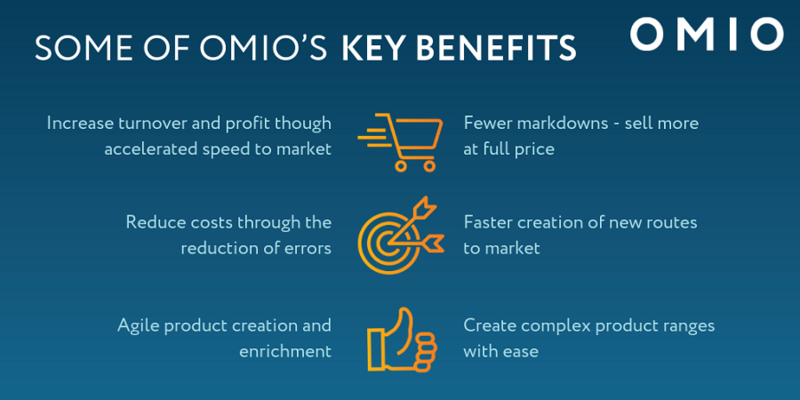 OMIO PIM offers multimarket, multicurrency and multilingual services to provide a single point of entry to draw together and enhance product data and publish information across digital selling channels — allowing teams to work collaboratively to get products to market in the quickest possible time. Reducing costs and improving data accuracy with a single point of entry. Seamless collaboration across teams to unify product data. Improving search engine optimization via enhanced product information. Saving time by creating complex product ranges, using intelligent data that recognizes similar products. Ensuring that products are optimized consistently across all selling channels before publication. 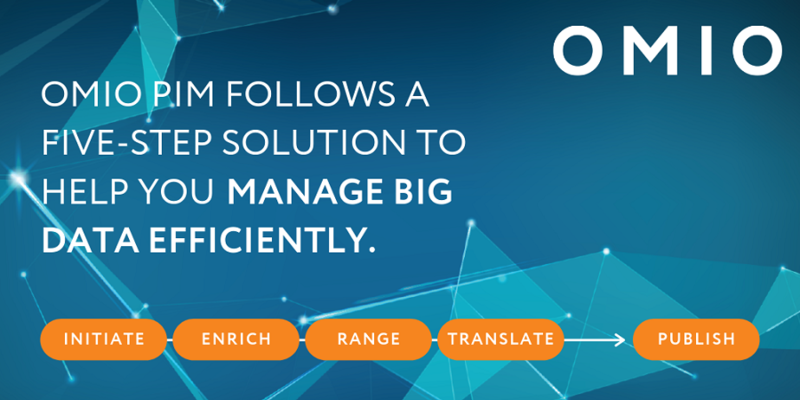 OMIO PIM helps companies to centralize consistent, rich information across routes to market.